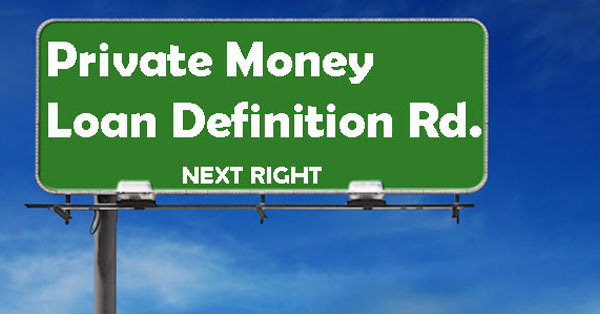 Definition: A private money lender or private hard money lender is a non-institutional (not a bank) company or individual that lends or loans money, usually protected by deep and note of trust, for the sole purpose of financing a real estate venture. Private hard money lenders are usually categorized as relationship-based lenders rather than hard money lenders. Why Use Private Hard Money Lenders? One of the major mistakes made by investors in real estate is that they use a lot of time learning about and typing up deals but only a little time on how to raise more capital from the private lender. It’s more important for investors to understand about raising money then finding a deal. Finding a deal is awesome but if you don’t have the money to tie up a deal or money to purchase it then all that money and time is for nothing. When making an offer on property, it’s expected that you place a deposit down with the offer that you made. If you live paycheck to paycheck, coming up with thousands needed for deposits or purchase might be non-feasible. If you work on getting more capital from private money lenders while locking up deal you will have a better chance for investment success.